Discover the Difference of Young Living Home Detox at EssentialOils.love! Your home is your sanctuary, and having a clean home can help support the peace and tranquility in your life. While common and store-bought household cleaners may make your home appear clean, the toxins contained within them can create an impure atmosphere and can have reactive interactions with the bodies of your family. Do You Know What’s in Your Household Cleaners? Just as it’s important to know what’s going on with what you put into your body, it’s also important to know what you’re putting into your home. 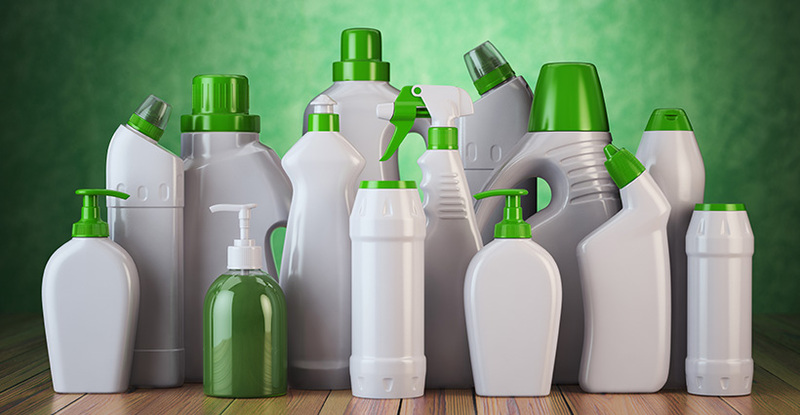 Many common cleaning agents such as oven cleaners, bleach products and fabric softeners can cause acute effects such as eye irritation, respiratory problems, skin reactions, headaches, and have also been shown to have long-term health consequences when used for an extended period of time. Because many of the ingredient list of many of these products are considered “trade secrets” in the industry, companies are not always required to reveal the full list of chemicals found in products that you may have use every day. Doing your research about the common household items you use may surprise you, but don’t worry – at EssentialOils.love, we carry several nontoxic options for keeping your living space clean, pure, and natural. Young Living products are made with a proprietary Seed to Seal® promise and are made with only the purest and highest quality essential oils. Take a step back to nature and cleanse your home in our nontoxic home detox products. These are just a few of our natural, nontoxic products infused with Young Living’s plant-based Thieves® formula for a living space that is naturally refreshed and clean without any chemical residues. Are you depending on chemical-laden sprays to keep your home smelling clean and fresh? Young Living’s Purification essential oil is a powerhouse of Tea Tree, Myrtle, Rosemary, Lemongrass, Lavandin, and Citronella to keep your home smelling great without the toxins. Diffuse at home, in the car, or wherever you need a fresh burst of natural fragrance. Contact EssentialOils.love today to learn more about the Young Living difference and begin your home detox today!